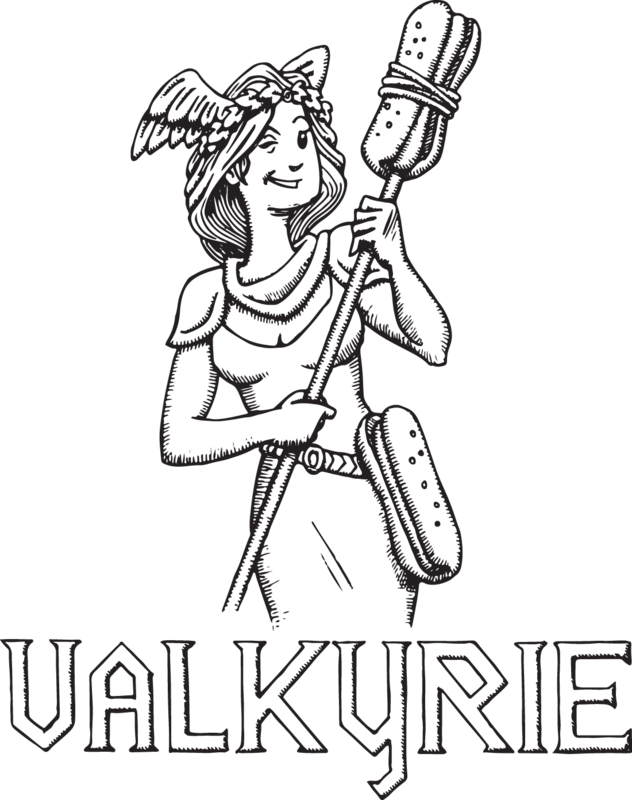 A woman of norse mythology who decides who lives and who dies in battle. 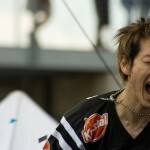 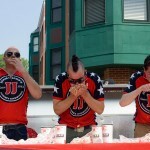 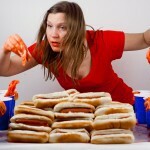 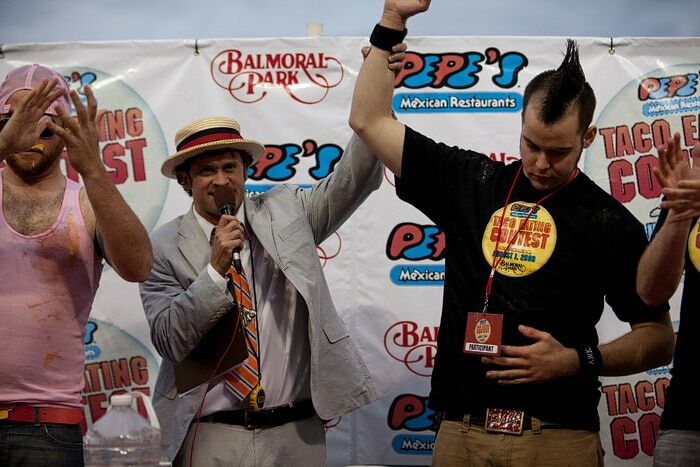 A professional competitive eater from Chicago, Illinois. 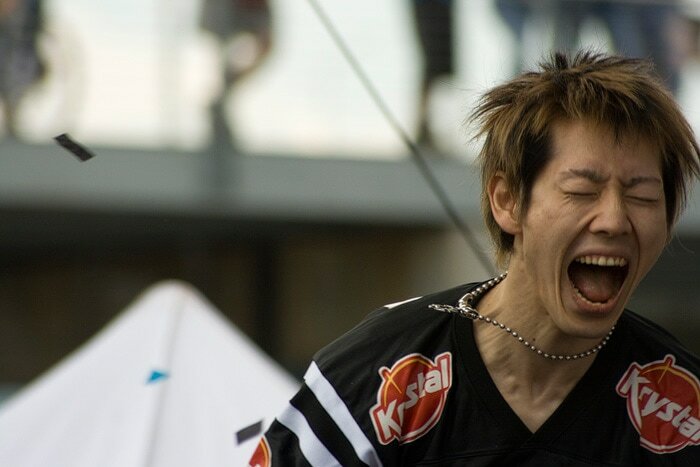 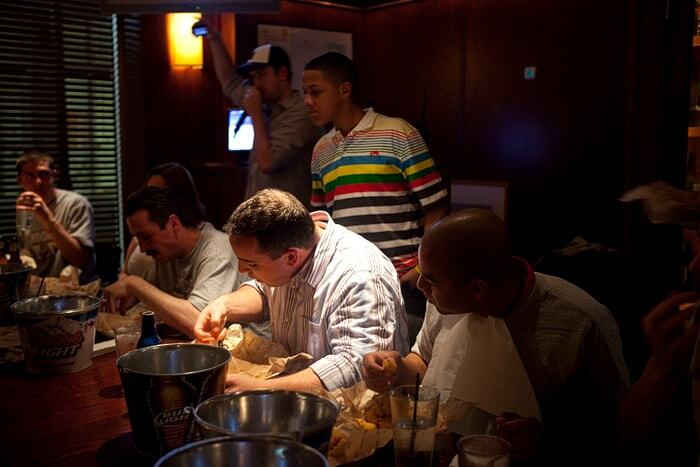 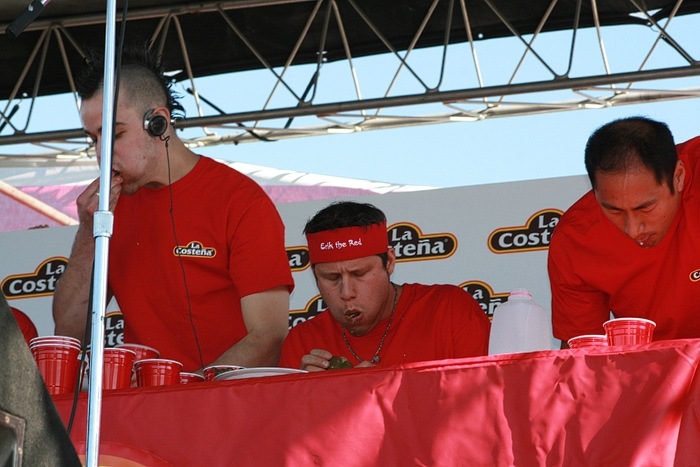 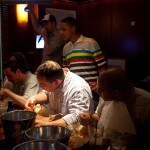 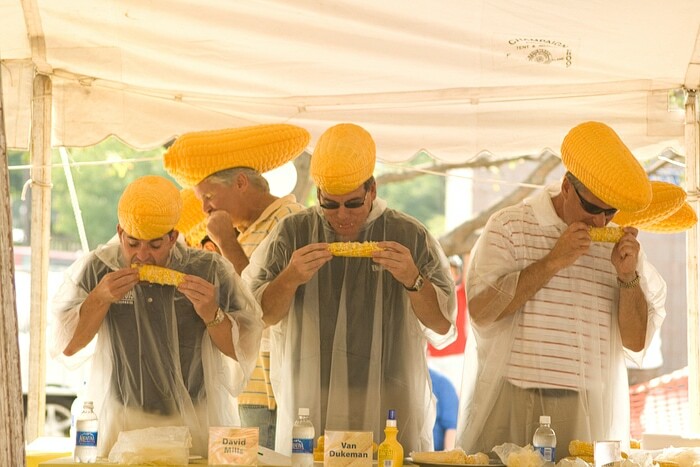 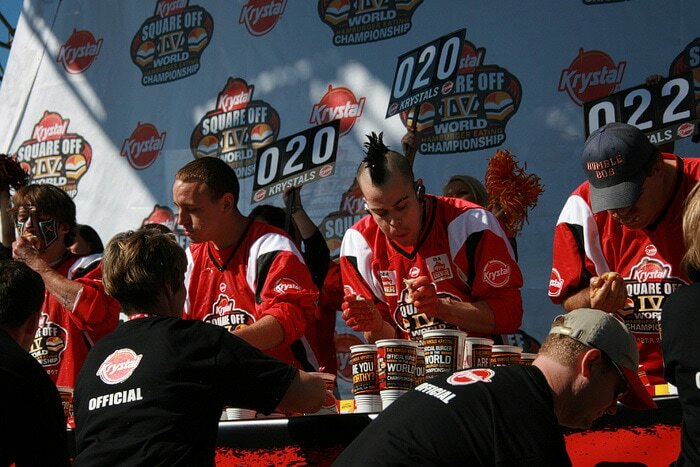 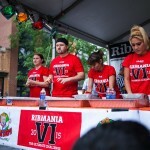 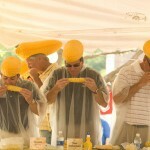 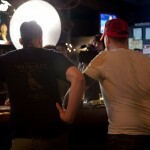 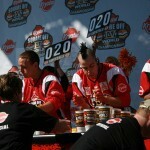 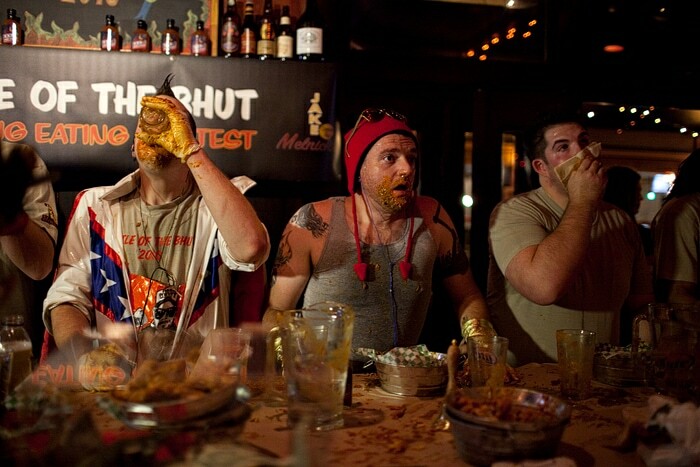 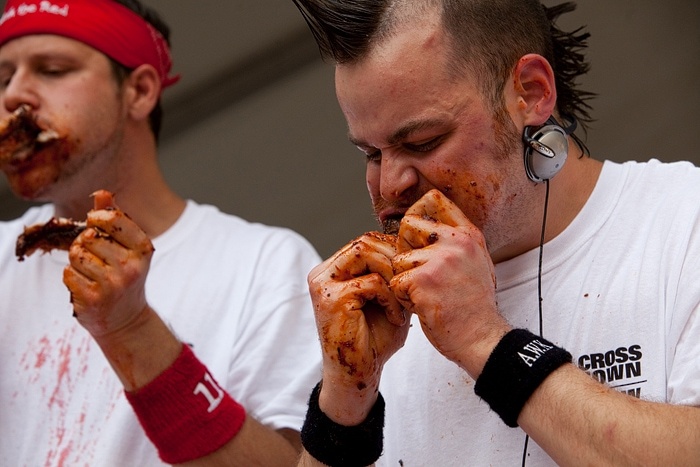 Since my first live contest experience in 2007 I’ve watched and photographed over 20 professional eating contests. 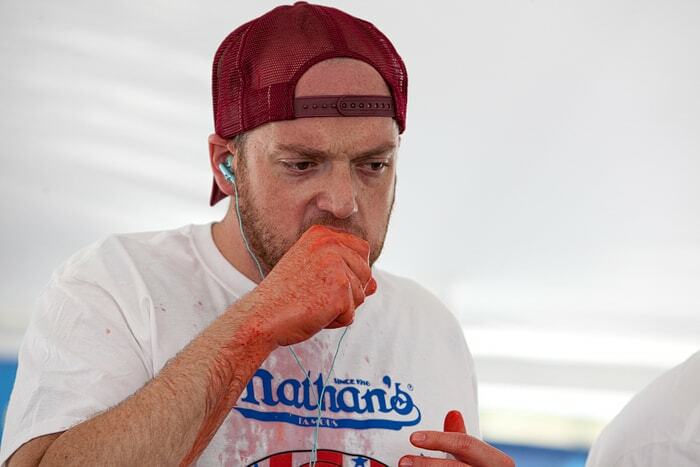 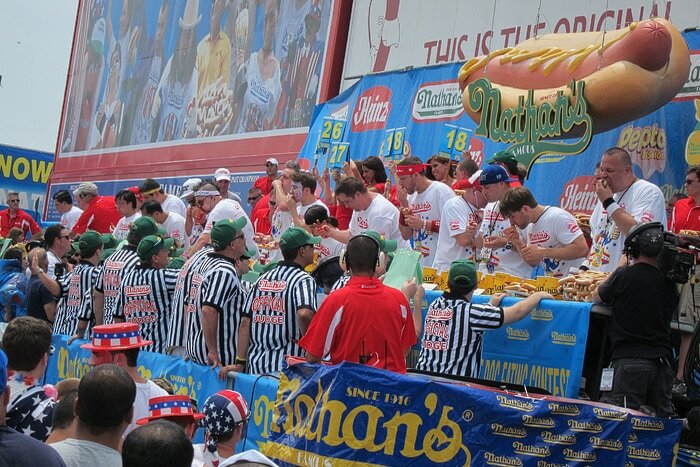 I flew to New York four years in a row for the Nathan’s Fourth of July Hot Dog Eating Contest. 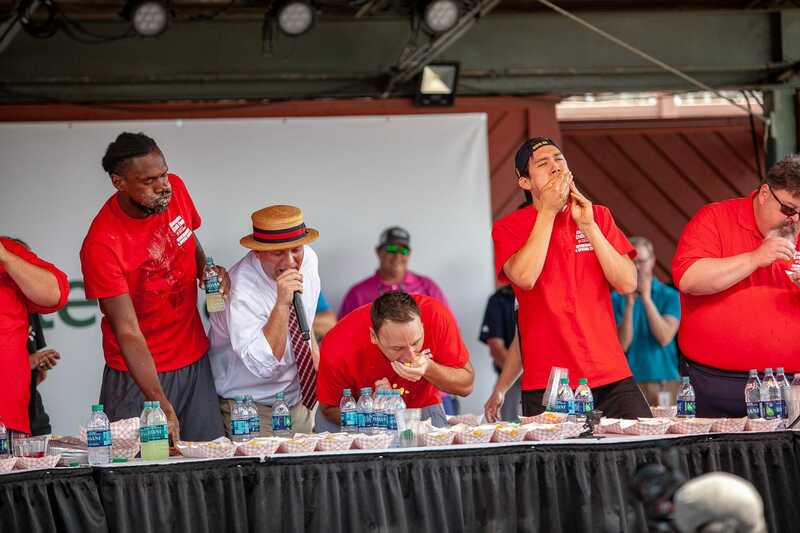 Three years in a row I drove to Chattanooga, Tennessee, (a ten hour drive each way) for an eight-minute hamburger eating contest. 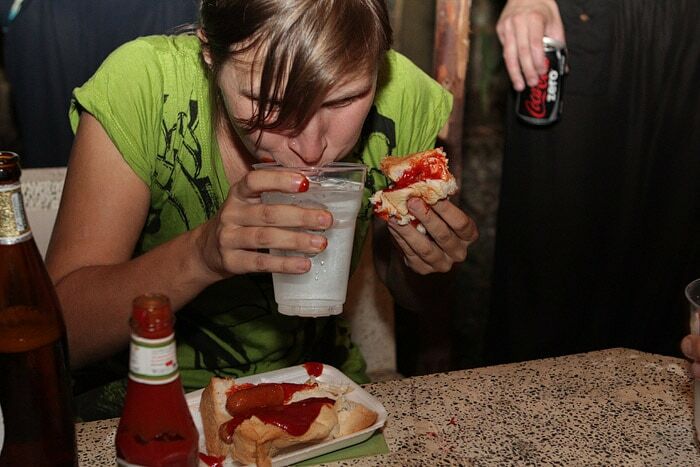 Once I did the entire round-trip journey in under 36 hours, driving all through the night, by myself, to get there. 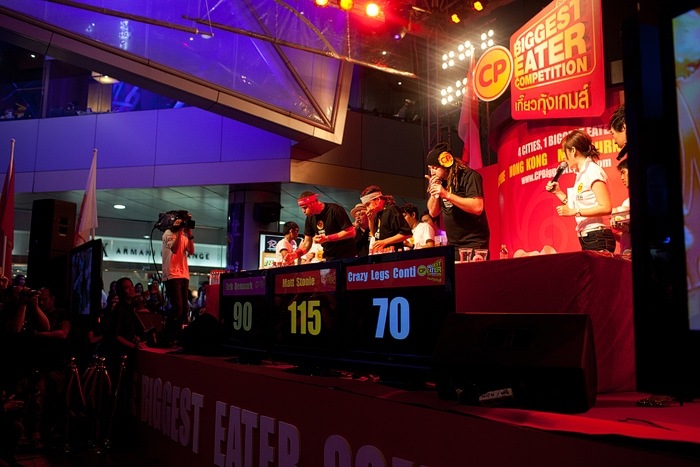 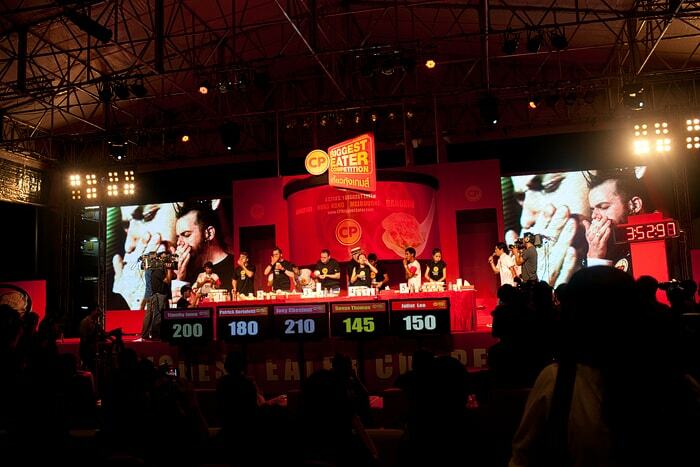 I even watched two wonton eating contests on the other side of the world, in Bangkok, Thailand. 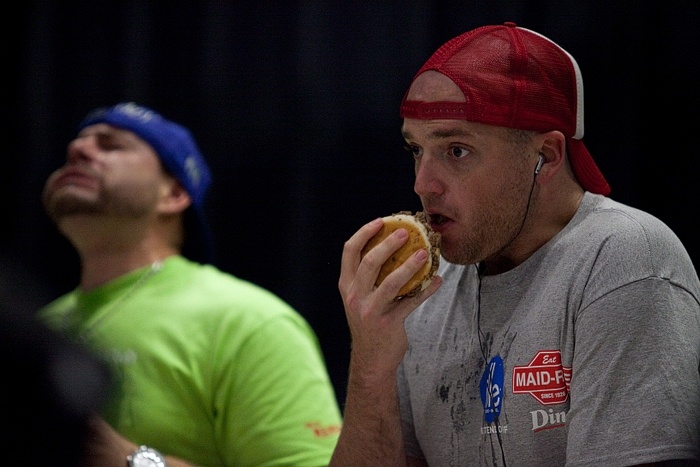 My super-fandom even landed me a role on the reality TV show “I’m a Major League Eater.” But, alas, my part was cut (you can totally see me in the background though — I’m the crazy looking one). 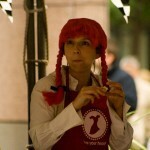 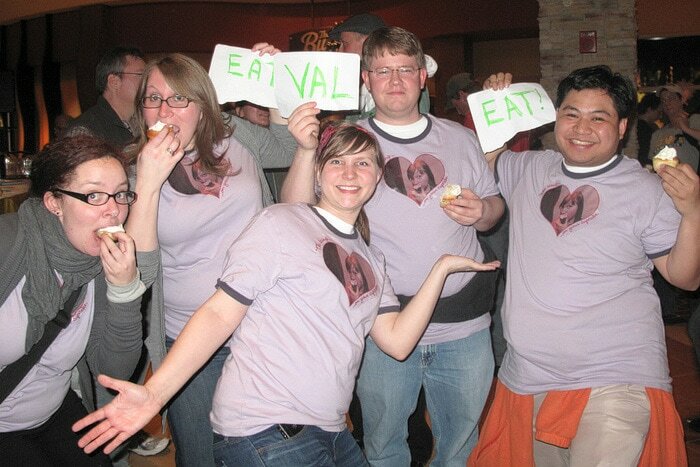 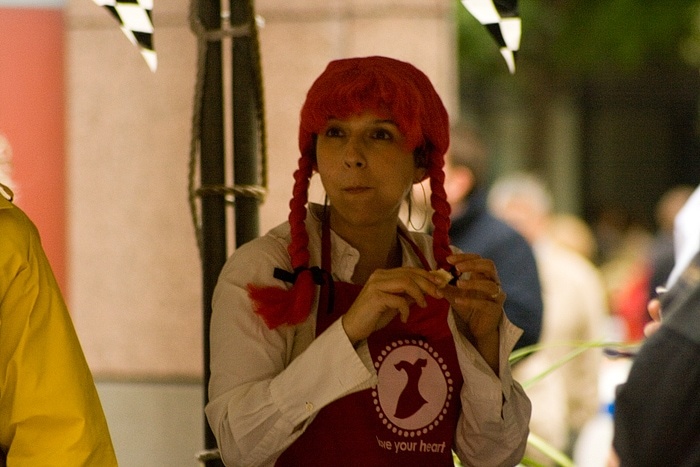 In April 2011 I stepped behind the plate to make my eating debut inWaterloo, Iowa’s World Cupcake Eating Championship. 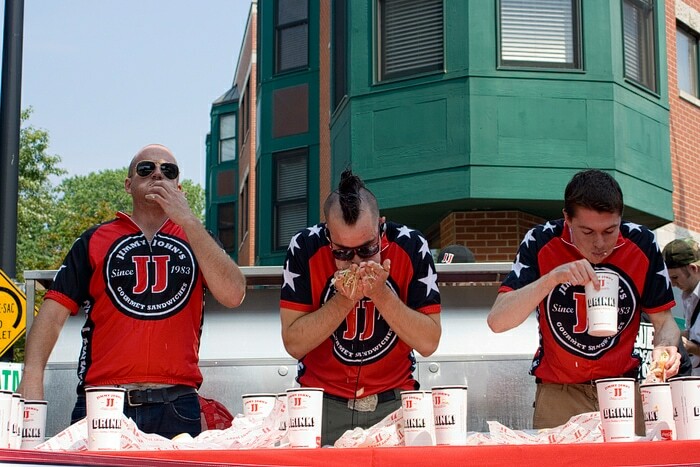 I came in last place. 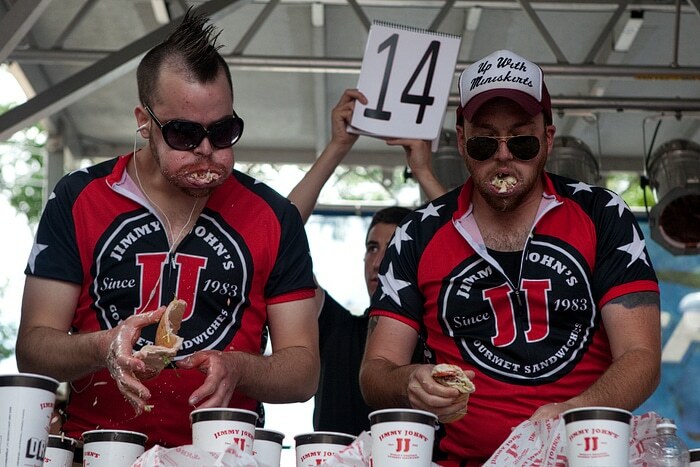 But, whatever. 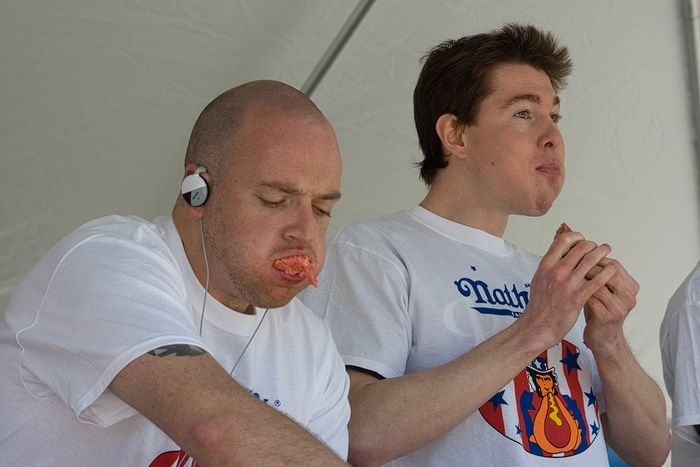 I mean, who wouldn’t want to eat as many cupcakes as they could in eight minutes? 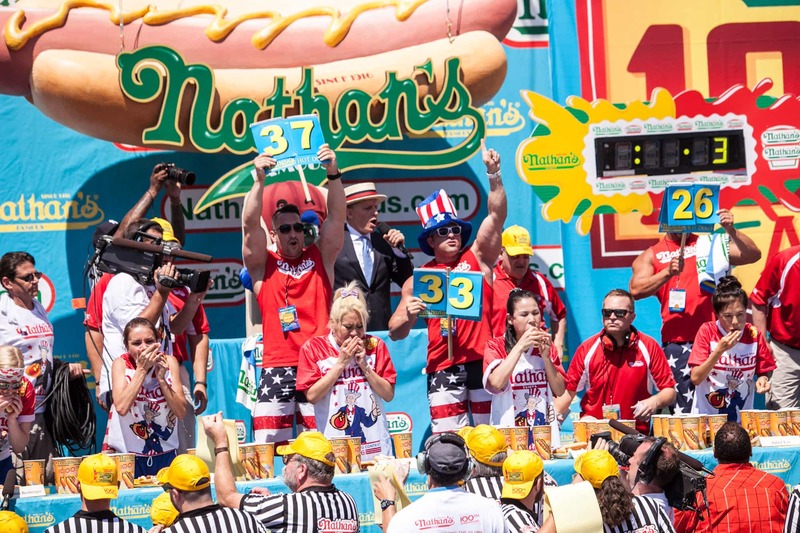 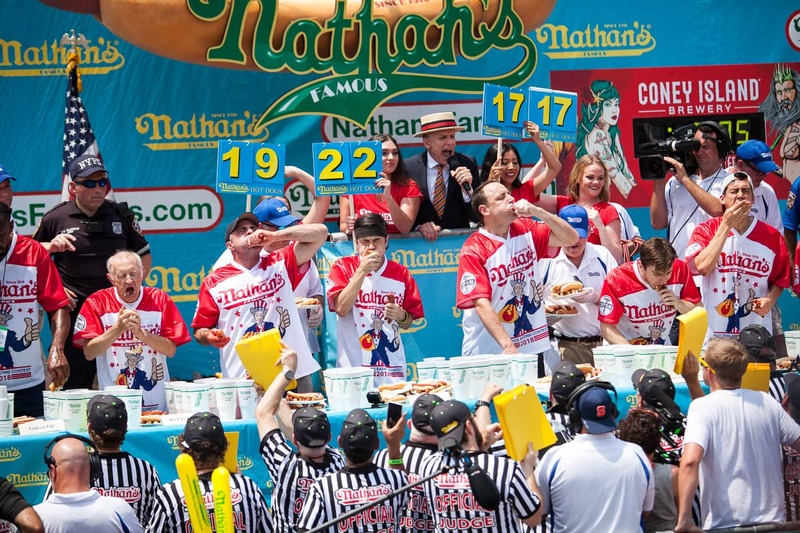 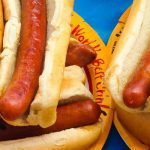 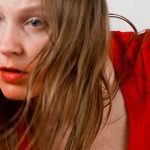 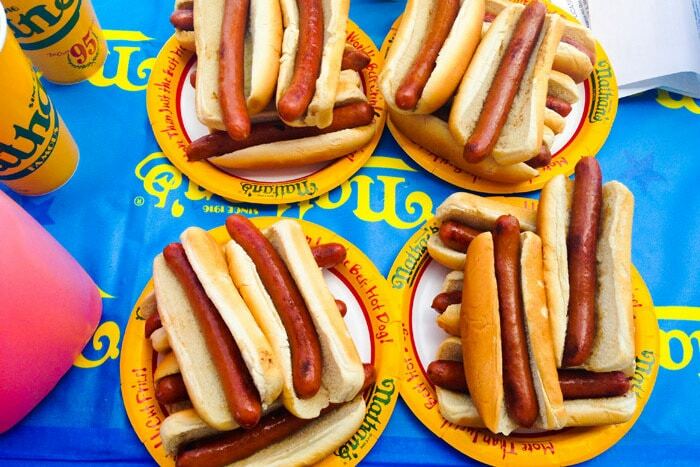 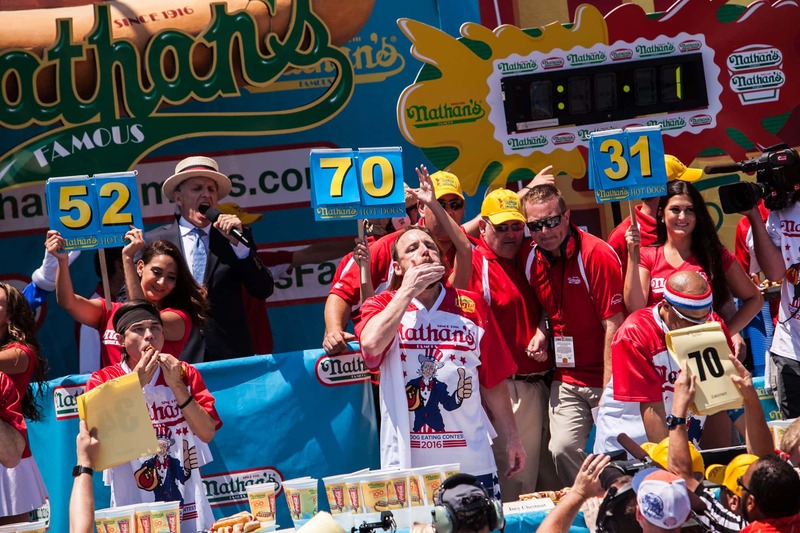 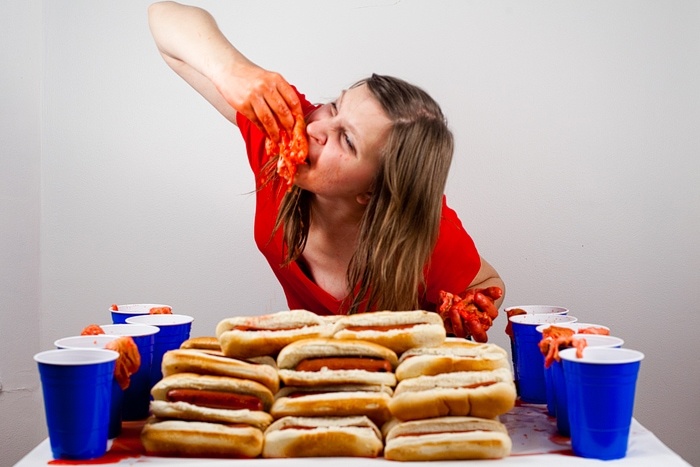 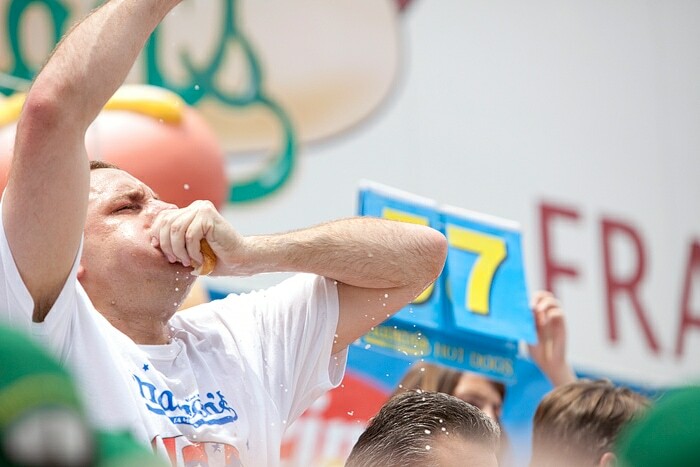 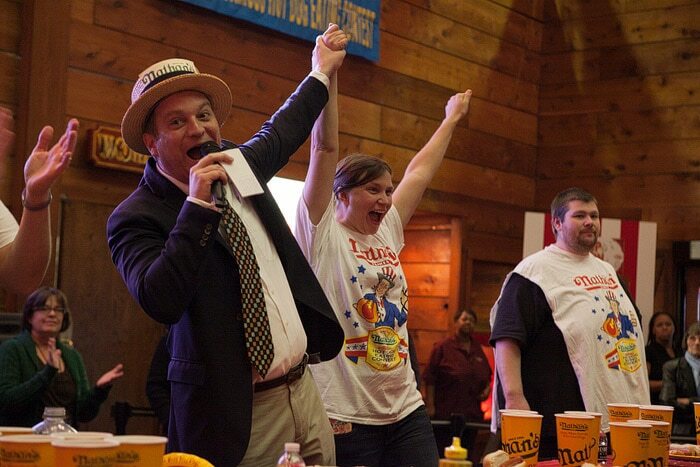 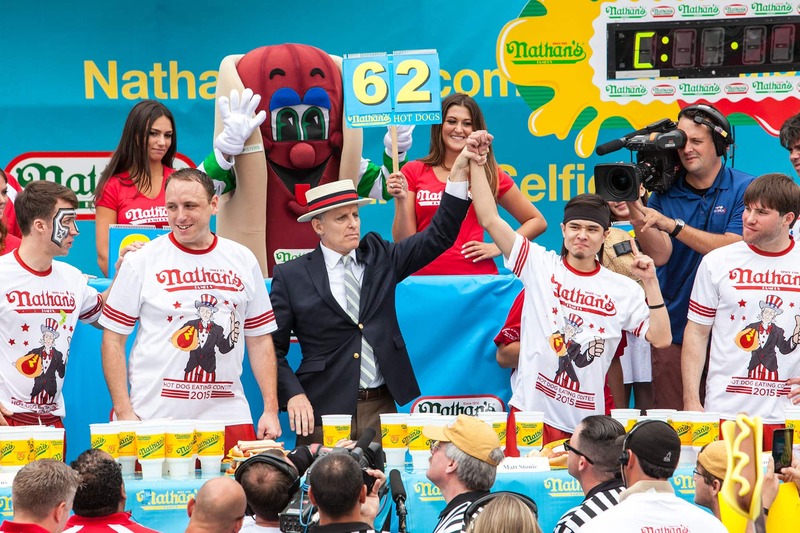 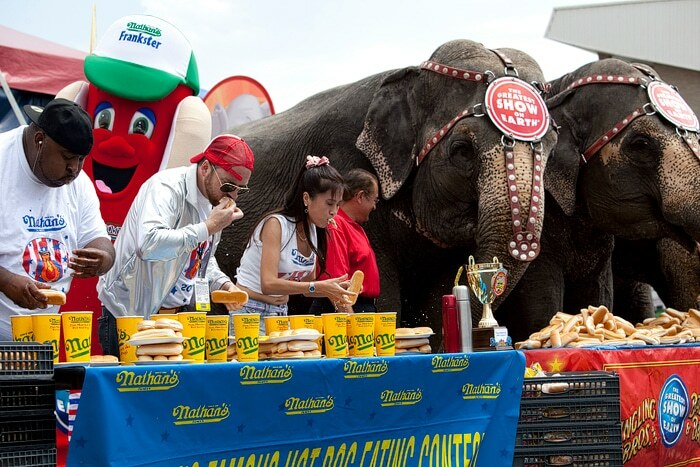 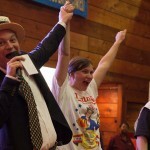 In December 2013 I competed in a qualifier for the 2014 Nathan’s Famous hot dog eating contest and won the women’s division (by default mind you…I was the only female) and earned a place to compete at the Nathan’s Famous Fourth of July hot dog eating contest at Coney Island — the biggest eating contest of the year. 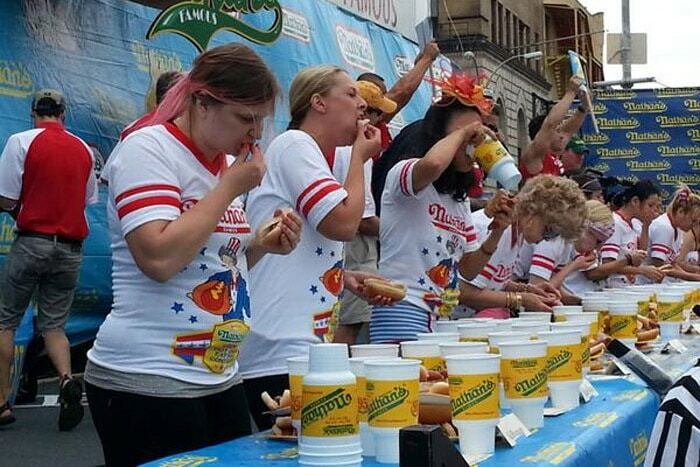 Again, I came in last place. 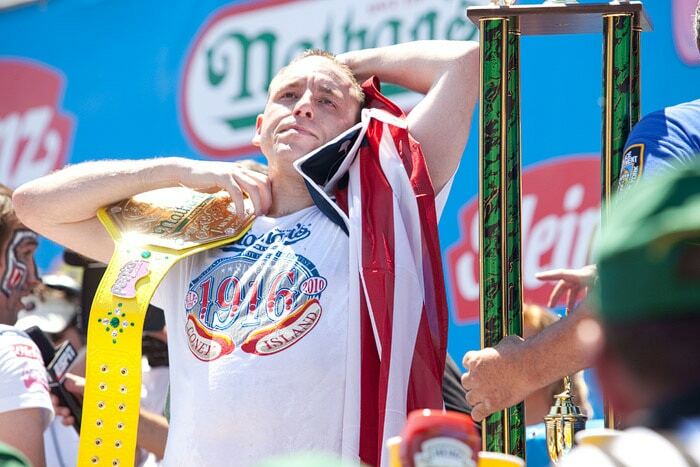 But, undeterred, I am planning a triumphant return to the table at Surf and Stillwell some Independence Day in the future, hoping to break my losing streak and find a way into the rankings. 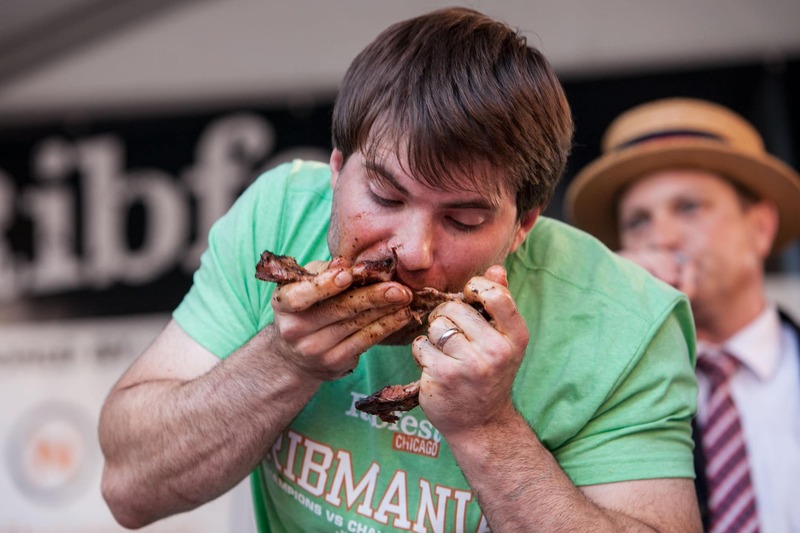 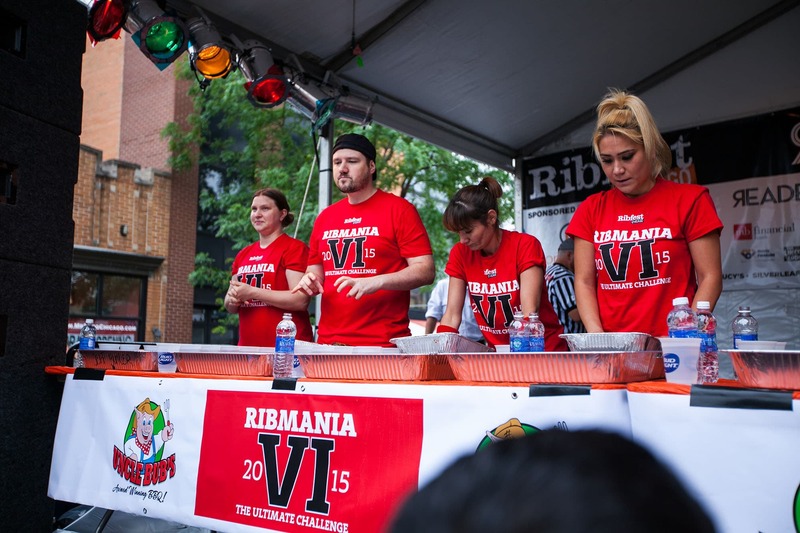 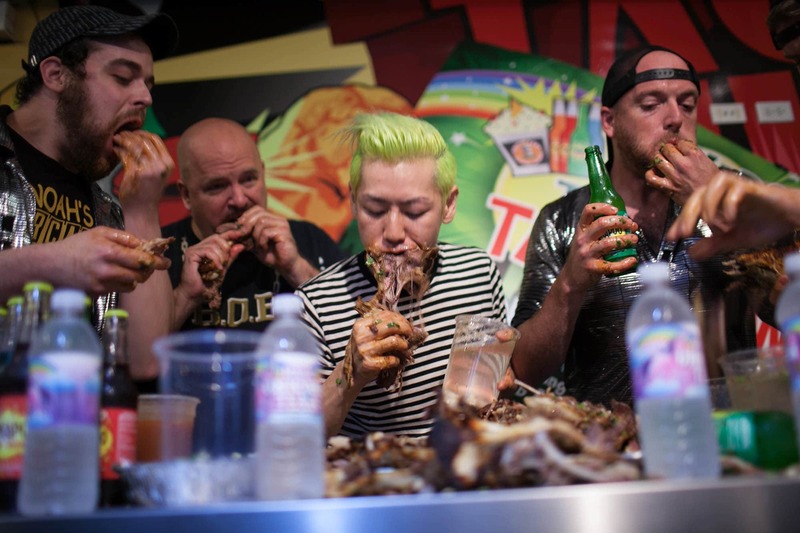 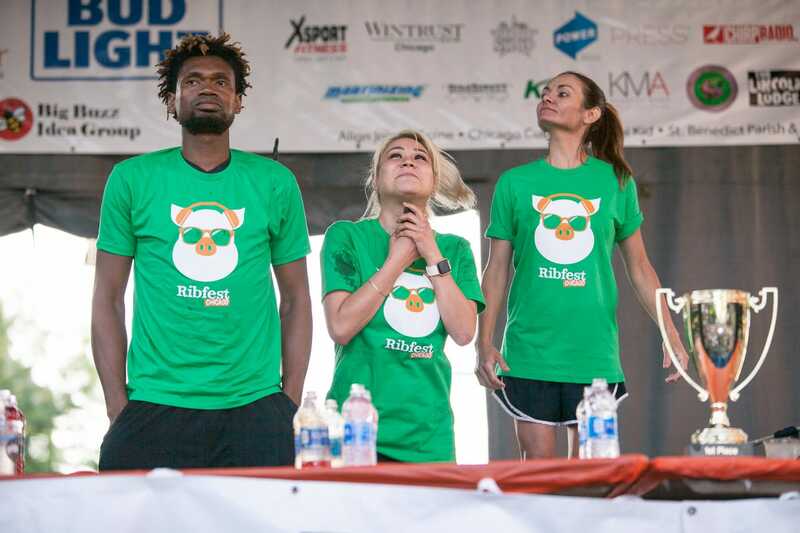 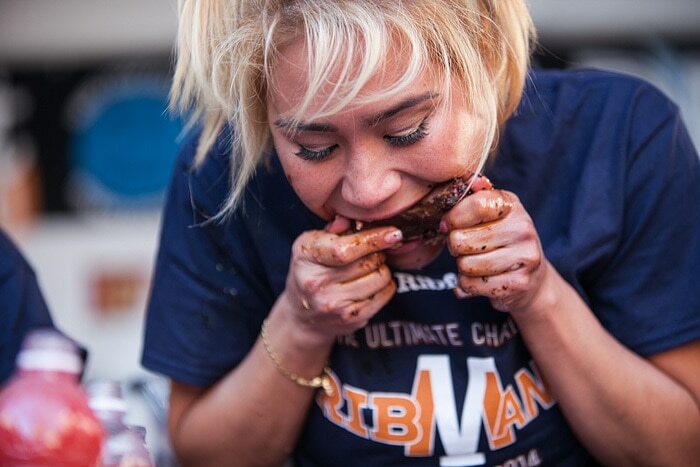 Competitive eaters eat a 40-pound goat to reverse the Chicago Cubs curse.